* Total number of reviews and star-ratings are based on data collected during the time period Kevin Scott Plumbing & Heating, Inc. has been using the ReviewBuzz system and may not directly match the data found on each public review site. We had an awesome experience today with Dan J! He showed up on time and was fast, efficient, and his work was immaculate. It was also easy to schedule our appointment. Highly recommend! It pays to stay local! Well....What can we say! Patty and I are both so very pleased with the work done at our house. Your guys were great! They were as professional as their boss and we couldn't have asked for more. They were conscientious, fussy about everything they did and were very respectful of our home. The results showed the pride they take in their work. These guys were fun to be around, answered every question and were easy to work with. You've done a great job grooming them into "top shelf" professional tradesmen! We thought we had another plumber lined up for our bathroom job and then he never called us back to do the work. 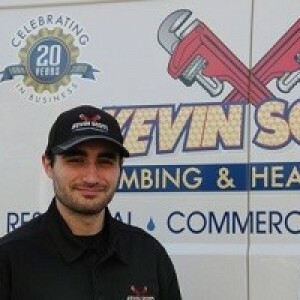 We called Keven Scott plumbing and it was like a breath of fresh air. The experience was great from the initial call to the work done. Our field service rep, Joe, was great and did a very professional job. Very neat, very helpful, and made sure we understood everything about the process. Great job. 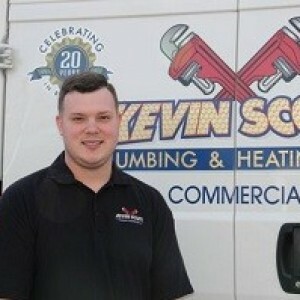 I highly recommend Kevin Scott Plumming & Heating service. They are very meticulous of the work they perform. Proffesional and skillful. They will not leave your home unless you are completely satisfied. Well job done! Drew and Tony are professional & respectful and communicates well. They show up on time and leaves the job neat and clean. Drew is professional & respectful and communicates well. He shows up on time and leaves the job neat and clean. 5 stars for Drew. He is respectful & professional and communicates well. He cleans up his mess and is a good representative of your company. 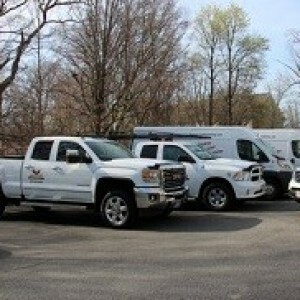 Joe M. has always been very meticulous in the work he does best for my home repairs. I can alway count on him to a job well done! Estimate for work to be performed was fair and prompt. Service Technician was knowledgeable, professional, courteous and arrived on time. I will contract Kevin Scott Plumbing for service needed in the future. Had a job by your company recently done by Drew. Excellent to deal with. Quick grasp of the problem and quick fix . Very pleasant and understanding, very professional, Companies need more like him. Great experience from start to finish! Out hot water heater was around eleven years old and noticed hot water was running out quick. Like to buy/hire local and seen Kevin's truck around town. Emailed requesting estimate at 20:00 and Scott called at 8am next day. Chatted about price, upgrade and replacement cost. Decided my search was over and hired Kevin. Drew I believe was prompt and explained installation. he got to work and was done in couple hours and left everything spotless. I have never used this company before. They are my new Plumbing company now! I have a hair salon and need things fixed very quickly. They came same day and fixed right away. I am a very happy customer. Your guys did an outstanding job at my house. Thank you very much! To Kevin and his crew, My wife and I want to thank your company and Paul Allen for responding quickly to our heating issues at our Wilmington MA home on 2 separate occasions. The first call was on Dec 29, 2017. Our tenants called due to lack of heat. When I contacted our oil company, I was informed that nobody was available in the area to respond to our needs and it would be a couple of days before they could show up. I contacted your company and you recommended Paul Allen. Paul went out to our home and found the oil line to be frozen. The second call was on Jan 2, 2018. Our tenants called to inform us of no heat again. It turnd out to be some broken pipes and frozen lines. Your crew did a wonderful job at repairing the broken pipes and getting the pipes unfrozen. They even made the holes they had to cut easy to repair. You and your crew, as well as Paul Allen, treated my wife and I and our tenants like your regular customers. We would highly recommend Keivn Scott Plumbing & Heating and Paul Allen due to professionalism and exceptional customer service. Thank you. Very professional and prompt. Have used Kevin Scott Plumbing's services for multiple projects including a kitchen and bath remodel, water heater replacement and a few fixture replacements. Always happy with their work and their plumbers they send to my home! Just wanted to let you know the technician you sent to my home was wonderful and did great work! Used both for commercial and residential,highly recommend! 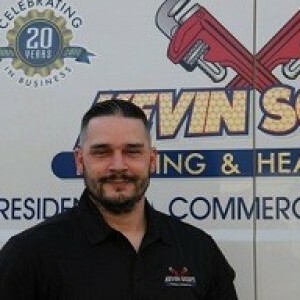 Kevin Scott Plumbing Heating, Inc. Team . Customer service is always a top priority at Kevin Scott Plumbing & Heating, Inc.. Our BBB Membership A+ rating is like a badge of honor as we continuously strive to provide the best experience for our clients.